و در توئیتر @bahareazadyدنبال کیند با تشکر. پیام زندانی سیاسی هوادار مجاهدین خلق ایران ابوالقاسم فولادوند:پیش به سوی کهکشان ! پیام زندانی سیاسی ابوالقاسم فولادوند:پیش به سوی کهکشان ! 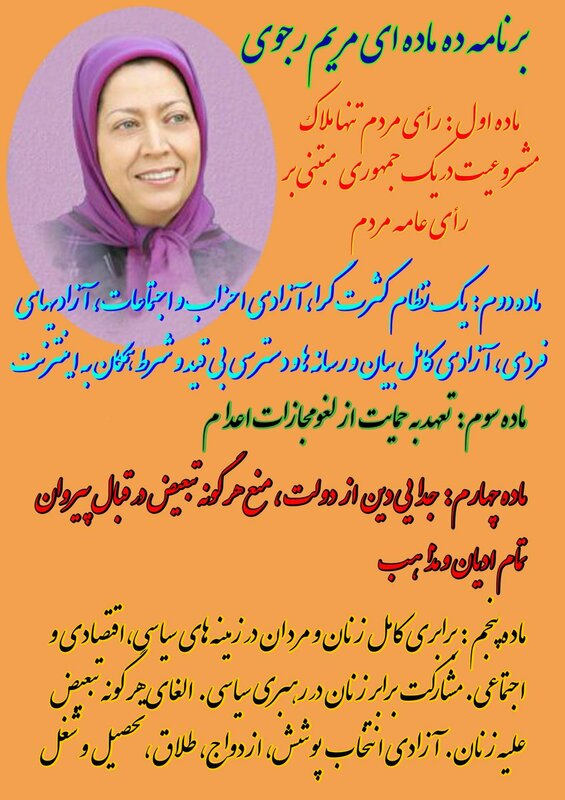 زمان،‌ زمان برخاستن است،‌ کهکشان آزادی،‌ با قدرت و صلابت در جهت سرنگونی رژیم آخوندی به پیش می راند و با گشاده دستی،‌ فرصت را برای همه ما فراهم آورده که با پیوستن به این کهکشان در کنار و دوشادوش ایرانیان واقعی و آزادیخواه و خانواده مقاومت و ارتش آزادی قرار بگیریم. با شرکت و حمایت از کهکشان آزادی علاوه بر نه گفتن مجدد به رژیم آخوندی،‌ حمایت های همه جانبه خود را از تنها مقاومت سازمانیافته در داخل و خارج کشور به جهانیان اعلام نمائیم و بدانیم که در این زمان هیچگونه راه بینابینی وجود ندارد و سکوت کردن و منفعل بودن عین ایستادن در صفوف آخوندهای جنایتکار می باشد. 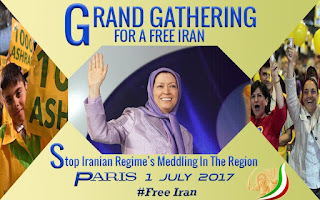 In a preview of the annual gathering of Iran’s opposition movement in Paris, France, starting June 29 to July 2nd, 2017, leaders of the movement told invited American journalists that events of the past 12 months appear promising towards their cause of bringing change in Tehran. 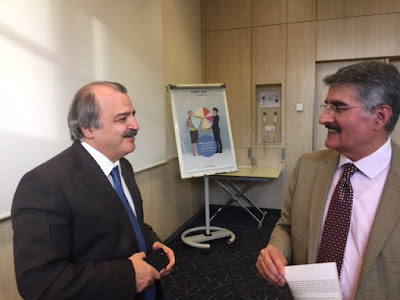 Chairman, Foreign Affairs Committee of National Council of Resistance of Iran (NCRI), Mohammad Mohaddessin took issues with the Obama White House which he said, “saved the Iranian regime” that was on the brink of collapse following intense international pressure. Mohammad was hopeful that the Trump administration would be more favorable to the Iranian resistance movement than previous US governments notwithstanding the consistency of the US policy towards Iran. Is there any change in American policy towards Iran given that the personnel dealing with Iran hasn’t changed under the Trump administration, queried an American journalist? Mohammad noted that there was an appearance of determination by President Trump to deal a blow to Iran’s recalcitrant behavior within the international community. He cited Trump’s recent visit to Saudi Arabia in which 55 Islamic countries affirmed a commitment to isolate the Iranian regime to support the people of Iran instead. Washington-based US Representative of National Council of Resistance of Iran, Ali Safavi outlined details of the three-day summit that will feature a litany of prominent diplomats, scholars, and political leaders across the world who share a similar desire for a truly democratic Iran that respects basic freedoms, human rights, and rule of law. Former US Senator and former Democratic Party Vice Presidential candidate, Joseph Lieberman is among the prominent speakers at the summit to be broadcast live around the world. Not taking chances, Safavi told his audience that the opposition has become more sophisticated to circumvent government censors who try to block access to the event to Iranian people. 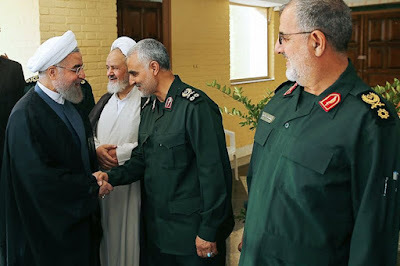 INU - “We must thank the IRGC for building strategic weapons and using them well,” the Iranian regime’s president, Hassan Rouhani, praised the Iranian revolutionary guards (IRGC) on June 26th. Rouhani's reference to the ‘government with a gun’ was directed at the government of Mahmoud Ahmadinejad, former president of the regime, who let the IRGC to control much of Iran's economy. INU - Now that Hassan Rouhani has been elected to his second term as president, the West must realize that he is not going to make changes in Iran. During his campaign, Rouhani routinely invoked “violence and extremism” against his opponent, Ebrahim Raisi, in an attempt to represent a more moderate approach than the hard-line alternative. Still, Rouhani demonstrated during his first term that he had no intention of challenging the violence and extremism of the clerical regime. The presidential election was boycotted by many Iranians, in an effort to draw international attention to the lack of choice where candidates are vetted by unelected clerics and judiciary officials based on their loyalty to the supreme leader and the ruling theocracy. 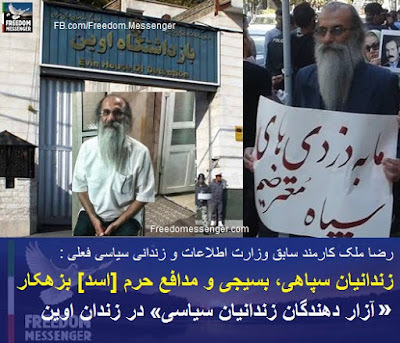 Rouhani is a veteran regime insider, who served as a senior security official during the systematic execution of 30,000 political prisoners in the summer of 1988. Many of those executed were supporters of the main opposition Mujahedin-e Khalq (MEK). This approach was based on the expectation that Iranian behavior and US-Iran relations would improve under Rouhani’s presidency. Instead, Tehran upped its anti-Western rhetoric, fired illicit ballistic missile tests, and officers of the Iranian military and Iran’s Revolutionary Guard Corps (IRGC) have made declarations of readiness for war. “Time and again, the US and its allies have bought into the Tehran ‘moderate versus hard-liner’ narrative, despite proof to the contrary,” writes Ridge. During Rouhani’s first term, dual nationals were put behind bars to use as bargaining chips. Thousands of Iranians have been incarcerated on political charges, and executions take place en masse, while other prisoners are denied basic medical care and sanitation. The Rouhani administration saw a spike in death sentences, and during his first term, more than 3,000 people were executed, including political prisoners, women and juveniles. Iranians stayed away. 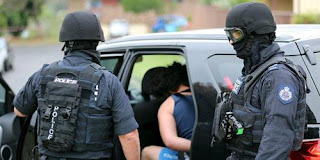 By doing this, they expressed their frustration with a political system in which both factions act against the interests of the people, and exhibited support for the alternatives to those factions, as well. Ridge calls the regime ‘fragile’, and says that the international community can effectively encourage the democratic transformation of Iran by supporting the democratic alternatives to the current regime. He urges that rather than buying into the moderate versus hard-liner narrative, the US and its allies get it right this time. INU - Iran filed a formal protest with the UN last week, in response to comments made by Secretary of State Rex Tillerson earlier this month at a Senate Appropriations Committee hearing. 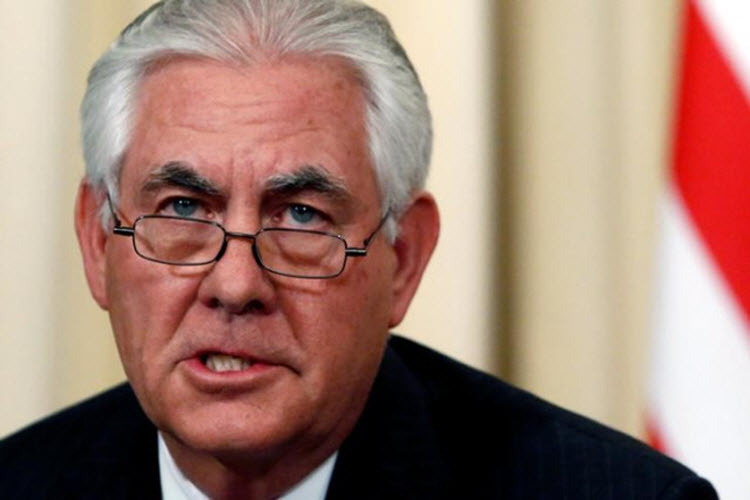 Iran accused Tillerson of violating international law and the United Nations Charter, in what it called “a brazen interventionist plan” to change the government. However, many others agree with Tillerson. Arkansas Republican Senator Tom Cotton said in a June 25 report by Politico, “The policy of the United States should be regime change in Iran. I don’t see how anyone can say America can be safe as long as you have in power a theocratic despotism.” Cotton is also a member of the Senate Armed Forces Committee. Reform of the Islamic Republic’s government may no longer be sufficient, according to some officials in President Donald Trump’s administration. However, Michael Anton, National Security Council spokesman said, “An explicit affirmation of regime change in Iran as a policy is not really on the table,” according to the Politico report. 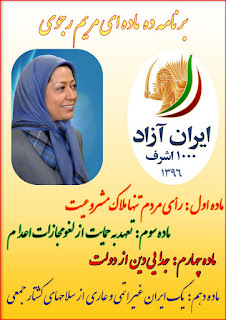 INU - On June 17, 14 years ago, the French anti-terror police raided offices of the Iranian main opposition, the National Council of Resistance of Iran (NCRI) and its principle member, the Mujahedin-e Khalq or MEK, near Paris. Hundreds were arrested and building were torn down. The expressed explanation for the drastic measure was “terrorism”. It turned out, they found nothing but a group of unarmed exiles and political refugees whom their only crime was trying to expose a tyrannical theocratic regime that ruled their country for decades. 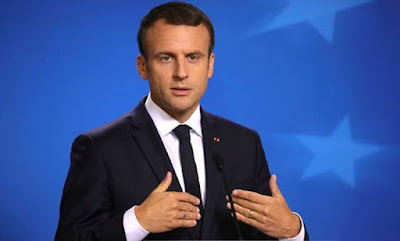 It was further revealed that the then government of France had entered a shameful deal with the terrorist regime ruling Iran to raid the offices of its democratic opposition in return for more trade contracts. The MEK was ultimately cleared of all charges, with the investigating judge reaching the conclusion that MEK has been engaged in a legitimate struggle against repression. The MEK was vindicated but left an eternal shame for those who were engaged in sacrificing France’s reputation as the cradle for human rights for a few commercial deals with a terrorist regime. Nowadays, the Iranian mullahs’ regime is being recognized as the source and main supporter of terrorism around the world and specifically in the Middle East. For over three decades the MEK and its supporters have been struggling to bring freedom and democracy to Iran. The MEK members have been the pioneers in the struggle to realize the desire of the Iranian people to end the mullahs’ dictatorship in their country and replace it with a democratic government. World governments increasingly come to realize the result of what is now known as the “rapprochement policy” towards the Iranian mullahs. The carnage in Syria and crimes against humanity committed by Bashar Assad and the Iranian regime is one example of the outcome of the policy of appeasement. Today, the MEK is increasingly gaining ground as a legitimate and strong solution and alternative to the Iranian rulers. The MEK message is that the world no longer has to put up with a government that supports terrorism and threatens other nations by building nuclear weapons and long-range ballistic missiles. 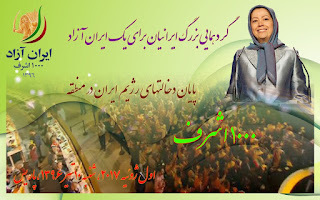 Today, the MEK constitutes a strong force in the Iranian people’s struggle for democracy and freedom. 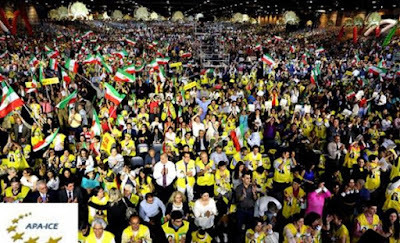 That is so while over 100,000 members and sympathizers of the MEK have been executed by the clerical regime during the past four decades. The MEK has called on world governments to stand with the Iranian people’s desire to end mullahs’ regime and bring peace and stability to the region. 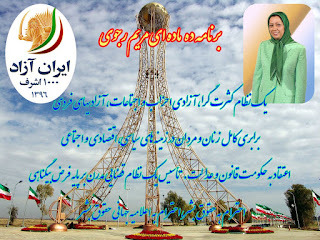 The MEK’s network in Iran has in recent months extensively increased its activities inside Iran. A major movement for seeking justice for victims of mass executions by the Iranian regime has formed in Iran. In particular the movement is seeking justice for victims of 1988 massacre of political prisoners, most of whom were members and supporters of the MEK. The strength of the movement in support of the MEK has sent shockwaves through the Iranian regime. Almost every day state run media are writing about the MEK in a futile attempt to demonize the MEK. 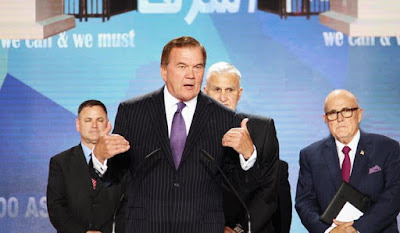 The mullahs are using the same method, disinformation, by their lobbyist or agents of the Ministry of Intelligence and Security (MOIS) to demonize the MEK in order to confront growing recognition of the MEK as a leading democratic force for change in Iran. A large number of members of the MEK, were moved to Europe last year, mostly to Albania under the direct supervision of the United Nations. 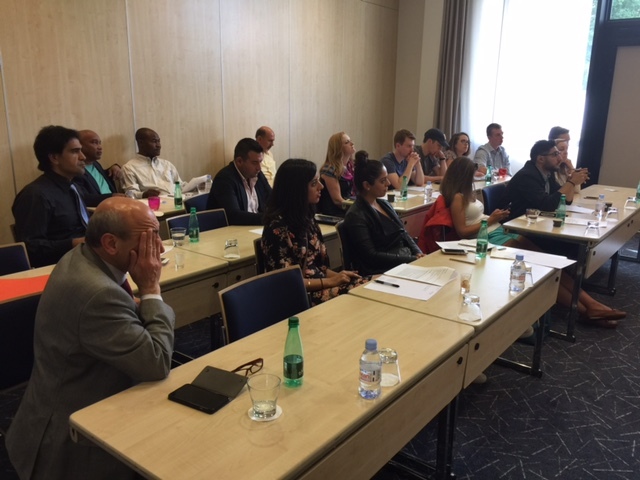 According to Albanian media since the relocation to Albania, many American and European dignitaries and representatives have paid visits to the group, expressing their support for the MEK and its cause. To name a few, US senator John McCain, Ambassador John Bolton, Gilbert Mitterrand, a French parliamentary delegation, as well as Members of European Parliament visited the MEK members at their new home in Tirana just recently in 2017. 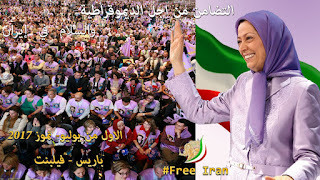 Every year around this time, the Iranian diaspora supporting the democratic coalition of National Council of Resistance of Iran (NCRI), in which the MEK is a member organization, holds a large gathering in Paris, France as the annual gathering of Iranians seeking freedom and democracy in their homeland. The month of June also marks the beginning of the massive, all out, crackdown on the Iranian opposition some thirty six years ago. On June 21, 1981 the regime then Supreme leader called on the notorious Revolutionary Guards to open fire on the peaceful demonstration organized by the MEK. 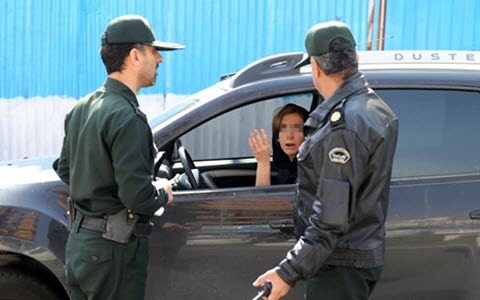 A massive crackdown and execution rampage that was staged by the mullahs soon after, forced many Iranians including the MEK and its supporters into exile. 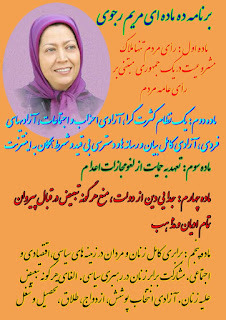 That was the start of the resistance movement which is today recognized as the main opposition to the Iranian regime. In recent years, the Rally held in Paris, brings in tens of thousands of supporters to France calling for regime change in Iran and the establishment of a non-religious and elected government in that country. Many world-recognized dignitaries and high officials have attended the gathering in the past as they will do so this year to extend support and solidarity with the Iranian voices for freedom. The key-note speaker of the event last year was, Mrs. Maryam Rajavi, the president-elect of the National Council of Resistance, who has led the movement during the hard years of exile. The rapprochement policy may have secured some commercial contracts for EU countries, yet it has brought nothing but more terrorism and agony for the EU citizens. The policy has brought more executions and oppression for the Iranian people and the MEK specifically. And the policy has resulted in no true resolution to the rogue actions of the mullahs. On the contrary, the rapprochement policy has emboldened the mullahs in taking the world hostage for political ransom. The Iranian mullahs openly support acts of terrorism throughout the world by supporting groups such as Hezbollah. Their Revolutionary Guards corps is actively involved in Syria, Iraq, Yemen, and other parts of the region. The Iranian officials have openly confirmed involvement in fatal attacks on US and Western personnel in Iraq. Just recently, 265 members of the European parliament singed a statement calling for the blacklisting of the Iranian Revolutionary Guards (IRGC) as a terrorist organization. The statement also calls for a commission for inquiry into massacre of political prisoners in Iran. The Iranian regime went on a rampage killing over 30,000 political prisoner following the eight-year war with Iraq in the summer of 1988. The majority of those fallen victim to the executions where members and supporters of the MEK. Many world parliamentarians and high-officials have recognized and commended the MEK as the original revealers of the Iranian regime’s nuclear development program - revelations that have come with great sacrifice from the part of MEK supporters inside the country. We may never know but the MEK may have in fact saved the world from complete destruction by preventing a state-sponsor of terrorism from becoming armed with nuclear weapons. As the yearly rally by the Iranian opposition nears – planned for 1 July, 2017 – France will once again be at center stage of a peaceful but very significant gathering of not only Iranians but world dignitaries who care deeply about peace and security in the Middle East and the world over. This is a gathering against extremism and advocating tolerance. In this respect, MEK is the political force, which rejects extremism under the name of religion, advocates gender equality and separation of religion and state and in short advocates a democratic and tolerant Islam. European leaders including President Macron who has just formed its government after a landslide victory in the Parliamentary election are expected to stand firm vis-à-vis the extremism whether it is originated by ISIS or the mullahs’ regime who are called by Iranian people as the Godfather of the ISIS. The world is watching European leaders at this critical juncture to stand with their principles and not some petty economic interests. History will judge them. پرده آخر - تمرین ورود امام زمان در ایران ! 10 فايده حملات تروريستي - حوادث اخیر به نفع کی بود ? به گزارش «آمدنیوز»، آقای رضا ملک که پیش‌تر از کارمندان وزارت اطلاعات بوده و به دلیل افشاگری درباره قتل‌های زنجیره‌ای به مدت سیزده سال تحت بازداشت و شکنجه‌ی حفاظت وزارت اطلاعات قرار داشته، در یک فایل صوتی به ذکر مشکلات درون زندان اوین برای زندانیان سیاسی پرداخته است. وی از شعبه‌ی ویژه تشکیل شده در قوه‌ی قضائیه برای «بررسی فرمالیته جرائم بسیجیان» خبر داده که این دادگاه توسط پسر یک امام جمعه تشکیل می‌شود. رضا ملک کارمند سابق وزارت اطلاعات و زندانی سیاسی فعلی از بند ۴ سالن یک که پس از سیزده سال زندان دوباره به دلایل واهی بازداشت شده، در وضعیت وخیم جسمانی قرار دارد. بنابر گزارش دریافتی، نيروهاى امنيتى رژیم ايران شب ٢٥ ژوئن ٢٠١٧ با يورش به يك جشن مراسم عید فطر در منطقه ملاشيه , شمارى از فعالان عرب را بازداشت كرده است. در اين جشن شعراء در حق فعالان عرب إعدام شده و كسانى كه زير شكنجه يا بوسيله نيروهاى امنيتى كشته شده اند به شعرهاى عربى ویزله وپایکوبی پرداختند و از فداكاريهاى اين عزيزان قدردانى شده است كه اين امر باعث خشم نيروهاى امنيتى شده و به محل جشن يورش بردند. در بين بازداشت شدگان، چند شاعر و تعدادى از افرادى كه داراى سابقه بازداشت وحبس بدليل فعاليتهاى فرهنگى وسياسى و مذهبى اهل سنت ديده مى شود ، هويت بعضى از بازداشت شدگان مشخص شد اما گزارشها حاكى از اين است كه تعداد بازداشت شدگان بيشتر از اسامى ذكر شده است. پس از سال ١٣٨٤، هر ساله همزمان با عيد فطر جوانان عرب در اقدامی مسالمت آميز دربرابر منازل به خانواده هاي محكومين به اعدام، خانواده هاي زندانيان سیاسی و خانواده هاي فعالان عرب اعدام شده، تجمع کرده وبه شعار خوانی ویزله وپایکوبی می پردازند. ه گزارش دریافتی،‎نيروهاى اداره اطلاعات اهواز يك شاعر اهوازى بنام «صاحب مشيلشى» جمعه ٢٤ ژوئن ٢٠١٧ ساعت ١٢ شب در منزل خود واقع در كوى آريا(مجد) را بازداشت و به مكان نامعلومی منتقل كرده است. صاحب مشيلشى(دراجى) ٢٧ ساله،متأهل،داراى دو دختر می باشد. 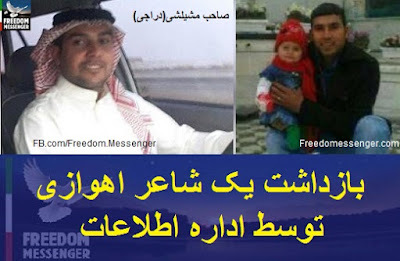 اين فعال فرهنگى در زنجيره هاى انسانى حمايت از رود كارون شركت فعالى داشته است و همچنين در بيشتر مراسم و جشنها شعر حماسى و ملى گفته بود.بستگان صاحب مى گويند عناصر اطلاعات بعد از بازداشت او، دوربين نصب شده بر روى درب منزلشان و بعضى از وسائل شخصى اش را با خود بردند. ‎يكى از بستگان صاحب مشيلشى مى گويد: صاحب از يك سال پيش بدليل خواندن شعرهاى مخالف سياستهاى نظام تحت تعقيب نيروهاى اداره اطلاعات اهواز بود وبه اين دليل كمتر به منزل مى آمد اما چند روز پيش جهت عيد فطر به منزل خود مراجعه مى كند و در شب جمعه ساعت ١٢ نيمه شب در منزل خود بازداشت شد. خانواده صاحب از اتهام و محل نگهدارى و سرنوشت او اطلاعى ندارند. ‎روز شنبه ٢٥/٠٦/٢٠١٧ نيز شمارى از شعراء و فعالان فرهنگى را در منطقه ملاشيه در يك جشن شب شعر توسط نيروهاى امنيتى بازداشت شده اند. 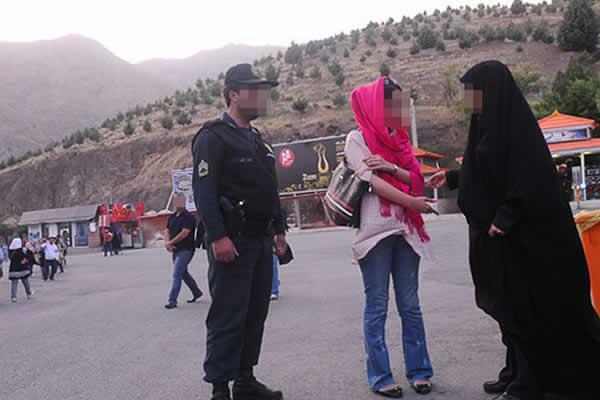 NCRI - On Tuesday June 27, the Iranian regime's prosecutor in Mazandaran province (northern Iran), announced “serious dealing” with those who “discover hijab” (unveiling) in vehicles and the seizure of their vehicle. The regime’s prosecutor, Assadollah Ja’fari said: “For those who are trying to discover the veil, a judicial case is formed. “Considering the arrival of the hot season, seasonal holidays, and the increase of travel and use of the seashore, and also the necessity of observance of Islamic law, in the implementation of Article 638 of the Islamic Penal Code by prosecutors and the heads of the jurisdictions, for those who attempt to discover the veil as forbidden action in public, a judicial case will be formed,” he added. He has also announced two days ago in a news conference “serious dealing with norm-breakers” in this province. On March 11, 2013, Assadollah Ja’fari along with 8 others were sanctioned by the European Union and placed in the list of “serious violators of human rights.” Foreign ministers of the European Union, while emphasizing the “serious violations” of human rights by these individuals, called for their prohibition to enter the EU. About a month ago, the Iranian regime's traffic police chief also announced that “violators” in cars and “discovering hijab or bad hijab” by the drivers or occupants is considered as true instances of “criminal offenses.” Simultaneously, Taghi Mehri, the traffic police chief announced receiving reports about traffic police dealing with “fast breakers” in the holy month of Ramadan and “hijab discovery” inside cars in different provinces. 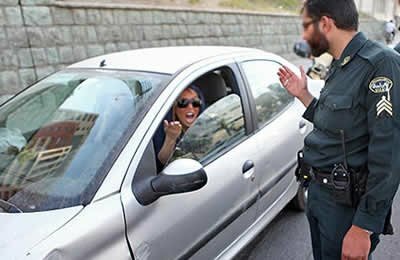 The Iranian regime despite the growing repression in these years and implementing rigid provisions of the so-called hijab and the use of police for ethical police and security and the advent of the so-called guidance patrol has not yet been able to impose a mandatory veil on Iranian women and girls as it wants. What's the Real Number of Iran's Drug Addicts?